West Side Electric Service has served the local community for over a decade. 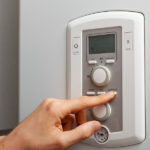 Services include electrical contracting and heating and air conditioning repair or replacement. Our company is veteran-owned and employs several of the top electricians in Nashville to serve our growing city. When hiring an electrician or electrical contractor, it is a good practice to check to ensure the contractor is licensed. Electricity is not a trade you want to gamble with or cut corners. Need Electrical or HVAC Help Right Away? Our team is led by Jerry Bone, Master Electrician. Jerry is a certified training instructor for industrial and electrical contracting and construction. He has taught many of the electricians working in the local Nashville area. He also holds a certificate from the Council of American Building Officials (CABO – Build Code building one and two family dwellings) and is knowledgeable about local codes and building requirements. Jerry does all things electric and does it the right way the first time. Cutting corners when it comes to electricity makes no sense and can be quite dangerous. * Electrical or HVAC work estimates or consultations at the job site are charged a minimum 1 hour at $75.00 per hour. 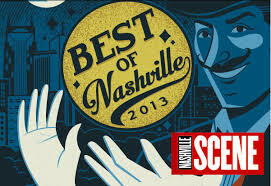 We are honored to be a local favorite, winning Best Electricians for the past 4 years in a row in the Nashville Scene Reader’s Poll and would love to earn your business. 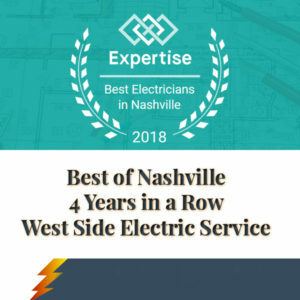 We have been awarded the Top-Rated Best Electricians Nashville award from Expertise for the past 3 years, 2017, 2018, and 2019. We know finding an electrical contractor you can trust is not always easy. In addition to having a loyal customer following, we have a number of online reviews available. We offer a wide array of electric services from heavy industrial and commercial to residential work. If you are curious about whether our electricians will take on a certain job, just ask. We are here to help. These guys are pretty amazing. I’ve used them for several jobs and more than anything, I’m impressed with their work ethic. If you want to know that the job is being done right, give them a call. You won’t regret it. I have always found West Side Electric to respond quickly to maintenance calls, both urgent and non urgent. They have always been very prompt, polite and given a great service. I am highly recommending them for electrical repairs. Great, affordable, and prompt electrians. I am really impressed. I definitely will use this electrical contractor again! West Side Electric did just a fantastic job for us when we needed some electrical wiring installation done. We were very pleased with all the work done, as well as, the reliability, professionalism, neatness, and promptness. Their service is comprehensive and they helped us greatly. Have a repair question? We welcome your electric or HVAC questions. Our HVAC technicians offer the best in heating and air conditioning (AC) repair. West Side Electric is honored to have been voted and Best Heating and Cooling company in Nashville in The Tennessean’s Toast of Music City Awards. Looking for an air conditioning or heating commercial contractor? 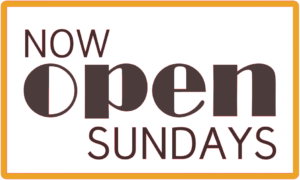 We have commercial electricians and HVAC professionals available for small to medium commercial and industrial work. Have you been cited with an electrical or gas mechanical code violation or simply want to be sure your contractor complies with any required city codes? West Side Electric Service complies with all electrical and mechanical gas codes. Our electricians are very familiar with the compliance rules within the city of Nashville and the National Electrical Code (NEC). Have a question? Just ask. No job is too small or large for our electricians. We offer competitive pricing home electrical service upgrades quoted over the phone. We also do extensive industrial and commercial work.